Physical trauma to the brain is one of the most serious and life-altering injuries anyone can sustain. If you have been the victim of this type of catastrophic personal injury, the ideal situation is making a full recovery—but when you're faced with skyrocketing medical bills, lost wages and chronic pain, that goal can seem extremely difficult, if not downright impossible. To help you navigate the complex process and protect your best interests, it's essential to partner with a trusted attorney with experience in traumatic brain injuries. Traumatic brain injury is typically the result of a powerful impact to the head or body that results in some degree of dysfunction. It can also be caused by an object penetrating the skull. There are varying levels of brain injury, from mild cases with temporary symptoms to more extreme injuries that can cause permanent or life-threatening cerebral damage. Any head injury should be taken seriously, but one that affects the brain can have debilitating effects on the victim's physical, mental, emotional and financial health. The victim may be unable to work, drive, communicate, care for a household or family, or even perform basic self-care tasks. Regardless of the type or severity of brain injury, it's critical that you enlist the services of a reputable attorney as quickly as possible. A personal injury attorney can help to speed up the recovery process by making recommendations for medical treatment, navigating the complex insurance claims process, and negotiating for ample compensation to cover your pain, suffering and missed work. Why Choose Us as Your Traumatic Brain Injury Attorney? 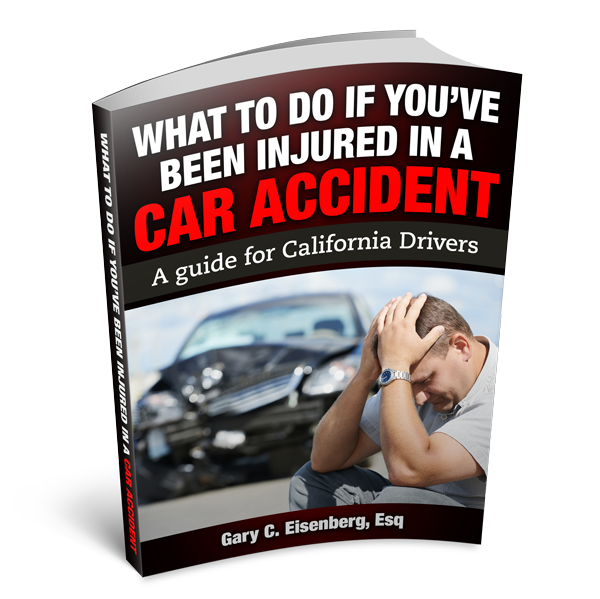 At The Law Offices of Gary C. Eisenberg, we have more than three decades of proven experience in personal injury law, including cases involving traumatic brain injuries. Because Gary started his career working for insurance companies, he has a firsthand knowledge of how the operate and the best tactics for achieving optimal results. When you choose us as your Calabasas personal injury attorney, we will explore all avenues to recover the maximum financial award to cover your medical bills, rehabilitation costs, physical pain and suffering, lost wages (current and future), mental distress and other losses. We always strive to negotiate a favorable settlement out of court, but are also willing and able to take cases to court if necessary. Personalized service: You can contact our attorneys directly at any time to discuss the details of your case. We will never route you to assistants or recorded messages. As a small, family-owned practice, we combine the expertise and experience of larger firms with the friendly feel of a smaller law office. Proven results: We have recovered millions of dollars in compensation for victims of catastrophic personal injuries, including traumatic brain injuries. Our team works hard to recover the maximum remuneration available by law. Our success rates—both in and out of court—speak for themselves. Risk-free representation: Consultations are always free, and you will not pay any attorney’s fees until we win your case. Don't let someone's recklessness or negligence plunge you into economic ruin. Contact The Law Offices of Gary C. Eisenberg today to get back on the path to physical and financial wellness, while helping to support your family members and anyone else who has been affected by your traumatic brain injury.